The item must be received back in its original condition, with all original documentation if applicable. Refunds/exchanges may not be authorized for bespoke items, engraved items, and rings sent back more than 14 days after they were received. 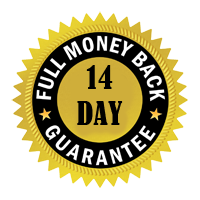 When we do accept items back after 14 days, they will usually be subject to administration charges. We will also not refund if it is evident that more than one ring was purchased with the express intention of choosing between them and returning one for a refund. If there are signs of wear on a returned item, charges may apply to re-polish the ring.